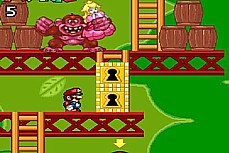 Help the plucky Mario avoid the big barrels that the huge gorilla throws at him and make it all the way to the top of each level to safety! 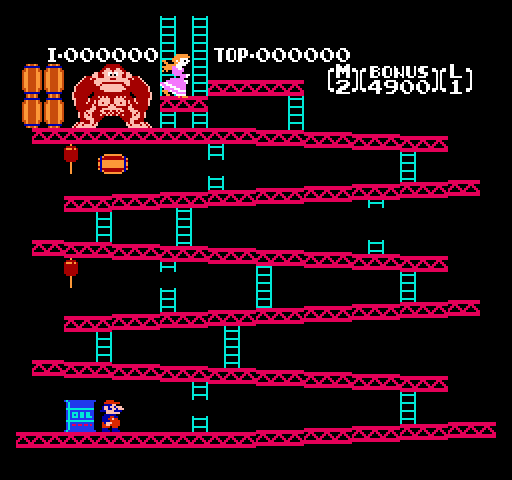 Keep your eye on Donkey Kong because he's tricky and throws different barrels in a variety of ways to catch you out! 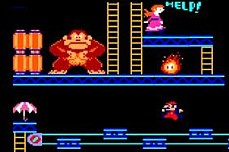 For more awesome games from the amazing retro console Nintendo NES we recommend more from this classic series and suggest you have a go at Super Donkey Kong 99, Donkey Kong Country 3 - Dixie Kongs Double Trouble, Donkey Kong Country 2 - Diddys Kong Quest, Donkey Kong Country and the awesome Donkey Kong Classics!